Watch auctions are nothing new in a watch collectors life, and if you want you can join one every day, especially with the online auctions nowadays. Most of the time you’ll find that the rare references are being sold for tremendous prices. 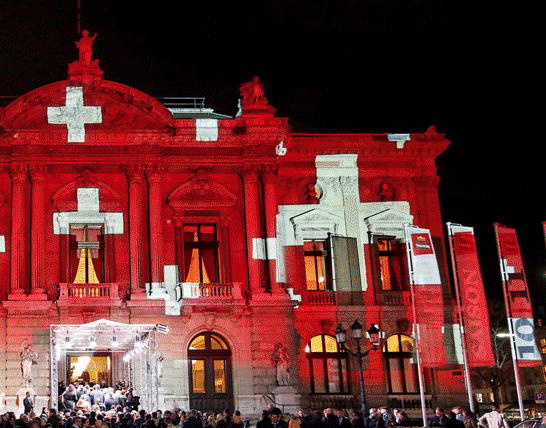 Upcoming November there will be held an auction like no other, on November the 7th, the 6th edition of the “Only Watch” auction will be held in Geneva. For us it is a special auction, not only because of the watches that they bring up, but the reason why the auction is organized; Only Watch is each year an auction with the purpose to raise money for research on Duchenne Muscular Dystrophy. It is great to see how the industry of watch making is helpful to this kind of charity. 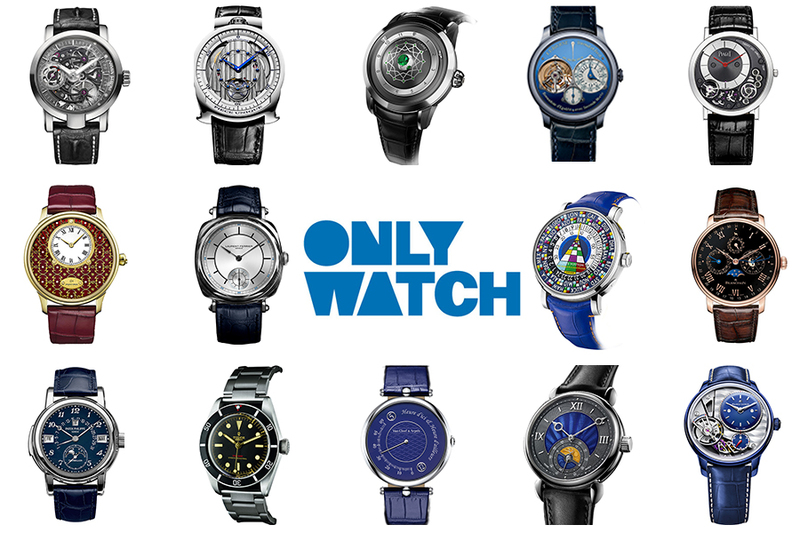 And 44 brands create and donate their unique timepiece to this charity. For a complete overview of the unique timepieces visite Only Watch. Here is our personal high light. This is the fist time that F.P. Journe participates in the Only Watch auction. It is also the first ever made tourbillon movement in an entirely Tantalum case. Tantalum being a very rare metal with high standards – for instance it’s highly corrosion-resistant – the choice for this metal compliments the timepiece. The caliber 1403.2 is made of 18K rose Gold that you can see trough the tourbillon. This timepiece also features a renowned remontoire and the dead beat second. 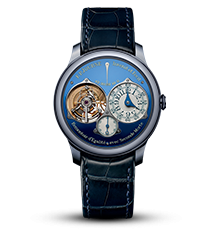 F.P Journe announced that they will be making timepieces for the next edition of Only Watch also, these timepieces will also have a Tantalum case and a blue dial. So if you are willing to start an unique F.P Journey collection, you should definitely join the auction and the future Only Watch auctions. And remember no price is high enough to support the research Duchenne Muscular Dystrophy. Patrik Hoffmannn the CEO of Ulysses Nardin: “An organisation with a good cause as impressive as The Monaco Association against Muscular Dystrophy is led by champions for champions.” This was the inspiration for the playing melody of the Only Watch Stranger. This timepiece plays the melody of Queen’s “We are the Champion” on every hour and on request. 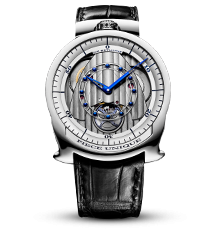 The copyrights of this melody was granted exceptionally by EMI Music Publishing Germany for this Ulysse Nardin Only Watch Stranger. 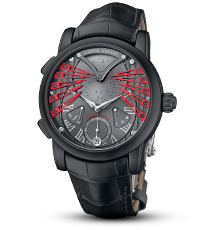 The black titanium case combines so good with the red details of the classical music box on the dial. The base caliber of this watch is the manufacture caliber 690. For me this is one of my personal auction favorites. De Bethune is a brand about innovation; making innovation the very core to the creative process. De Bethune always has well-designed movements on the aesthetic part of watch making. Integrating new technologies and applied materials with mathematical calculations and the fundamental principles of classic mechanics. I love the juxtaposed materials and how De Bethune is playing with finishes like the flame-blued elements. This DBS Pièce Unique is powered by a DB2115 caliber. A hand-wound movement with 6-day power reserve inside a white gold case, great cone-shaped lugs and the gorgeous flame-blued steel hands. So watch heads if you want to support the research on Duchenne Muscular Dystrophy and besides that be the owner of a unique timepiece, join the Only Watch auction.